You are currently browsing the archives for the tag 'bavarian'. 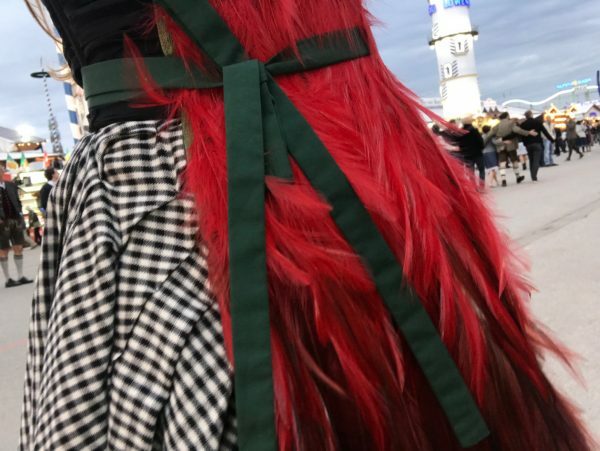 This week, after my post about the amazing experience with Hublot at the Oktoberfest, I got many compliments about my Dirndl look. 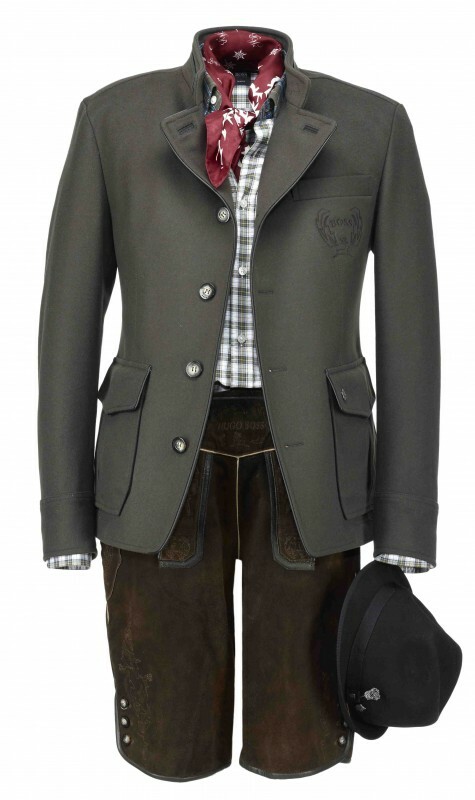 You might be surprised but this outfit doesn’t include one single traditional Bavarian piece, every item comes from a runway collection. 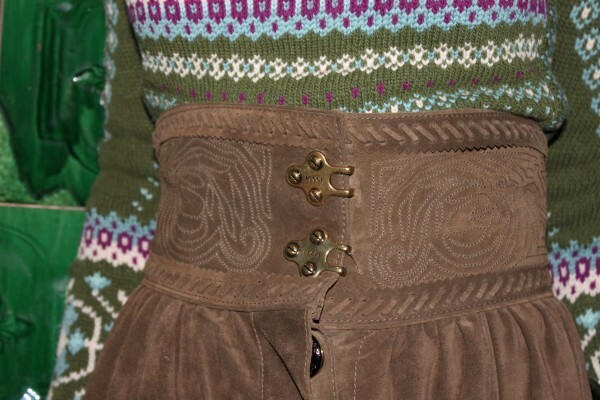 Over the years, I have collected so many fashion must-haves, that I love to style in different and unexpected ways. 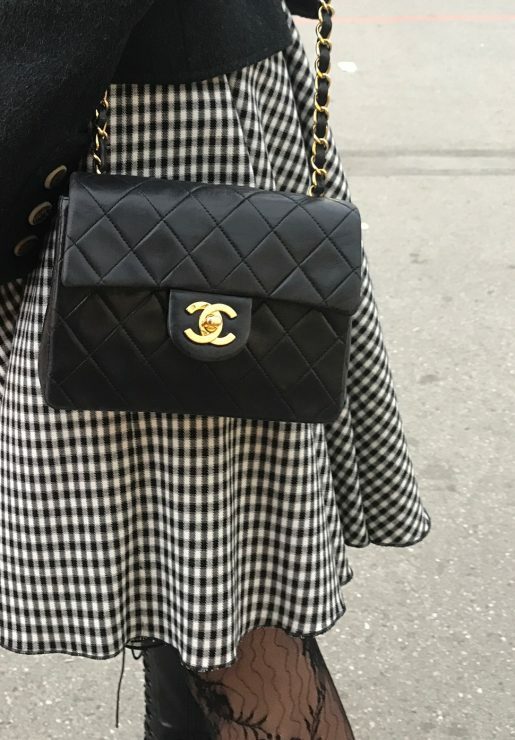 As I always say, keep everything if you have space, there will always be a time to wear those pieces again…, I am sure that you will be surprised to see the years in which I bought them. My look: Bavarian janker jacket (F/W 2002) and corset-style dress (F/W 2010), both by D&G Dolce Gabbana, embellished leather choker (F/W 2002) and brooch (F/W 2010), all by Dolce & Gabbana, feather apron (S/S 2005) and lace-up leather boots, both by Prada (F/W 2001), plissé leather cuffs (F/W 2016) by Gucci, small classic black handbag with gold-tone metal chain by Chanel (F/W 1995), Venezia lace stay-ups (F/W 2003) by Wolford. 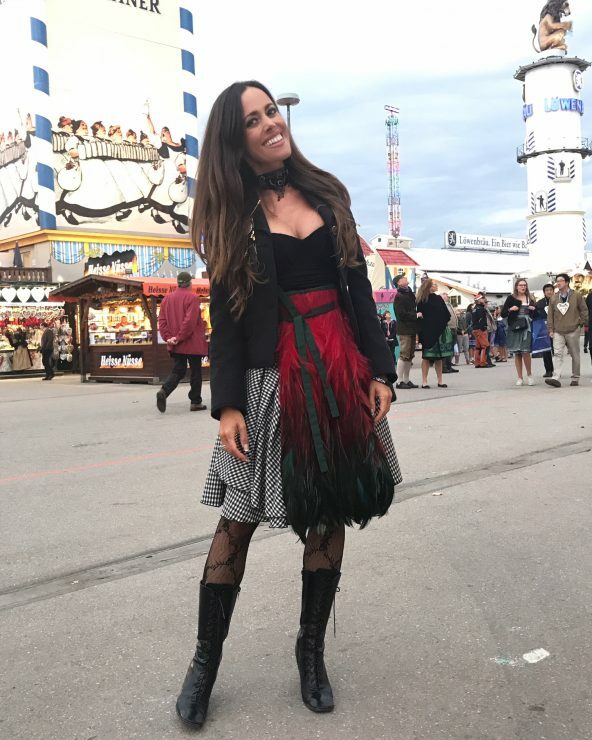 Dirndl Premiere – It’s Pre-Wiesn Time! 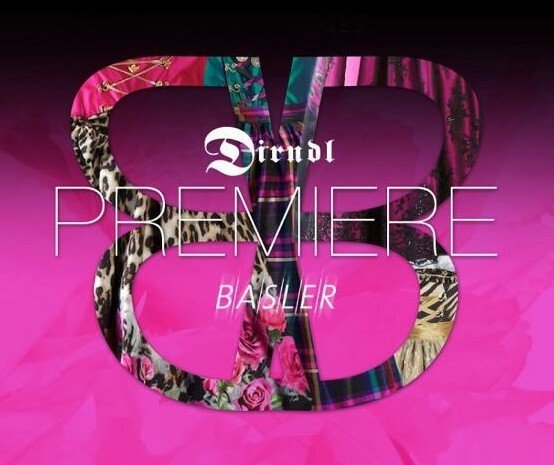 German fashion house Basler will be launching their first Dirndl collection during the so-called “Nacht der Tracht” tomorrow at Munich’s famous Löwenbräukeller. It is going to be a fun packed evening with lots of local celebrities as models for the fashion show. Here is your sneak preview of this very colourful and fun collection. Peacock, leopard and tiger prints embellish the Bavarian dresses designed by Basler’s Creative Director Brian Rennie, who was with Escada before. High waisted suede skirt and wool and cashmere-blend intarsia sweater, both by Emilio Pucci, Palais pumps by Yves Saint Laurent, choker by Dolce & Gabbana and clutch by Louis Vuitton. O’gzapft is! My German readers will know what I am talking about. 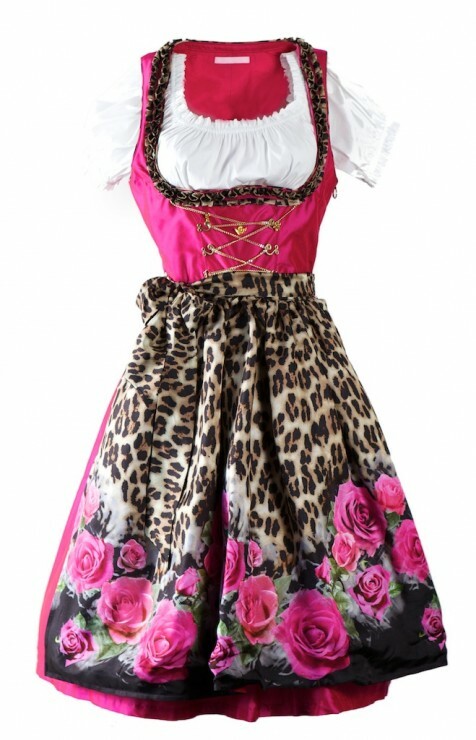 In Stuttgart it is soon to be Wasen time and in Munich it is soon Oktoberfest season! 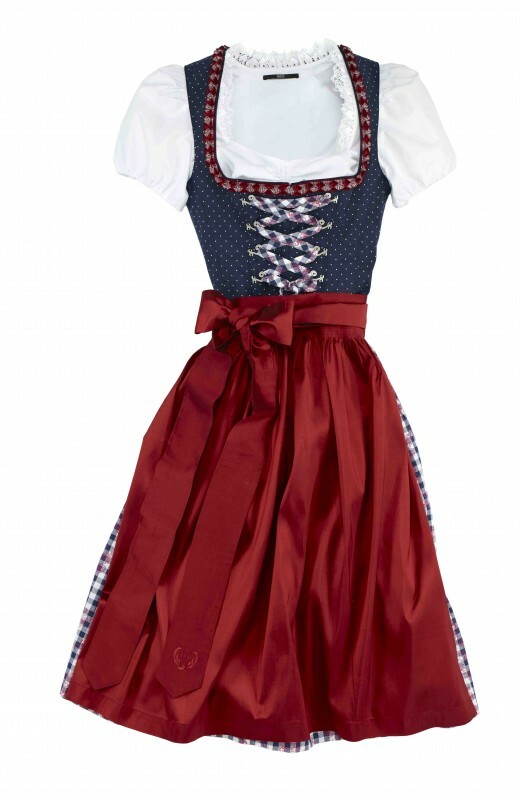 Those traditional festivities require a stylish look emphasizing your Bavarian spirit. 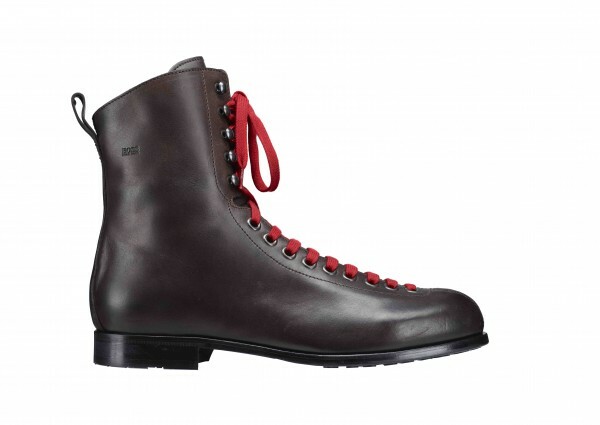 BOSS Black is launching Mid July a capsule collection as part of F/W 2011 which will include two dirndls and five traditional costumes for men. Available online at www.hugoboss.com or in selected stores. Enjoy your beer in style! I would like to dedicate this week to outstanding talented designers around the world who have impressed me with their work. 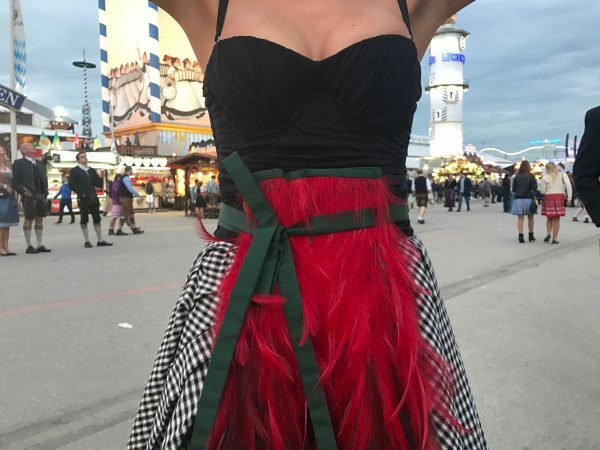 As the annual Munich Beer Festival, the famous Oktoberfest, is taking place at the moment, I would like to start with Lola Paltinger who creates the most beautiful dirndl couture– the embodiment of urbane German traditional costume, so-called “Tracht”. Lola graduated like me from ESMOD. After her studies she trained with Vivienne Westwood before launching her own atelier. Her style is eccentric and very feminine, inspired by the Hollywood glamour of the 1930s/40s. Her playful romanticism with that touch of drama is what makes her creations so special. 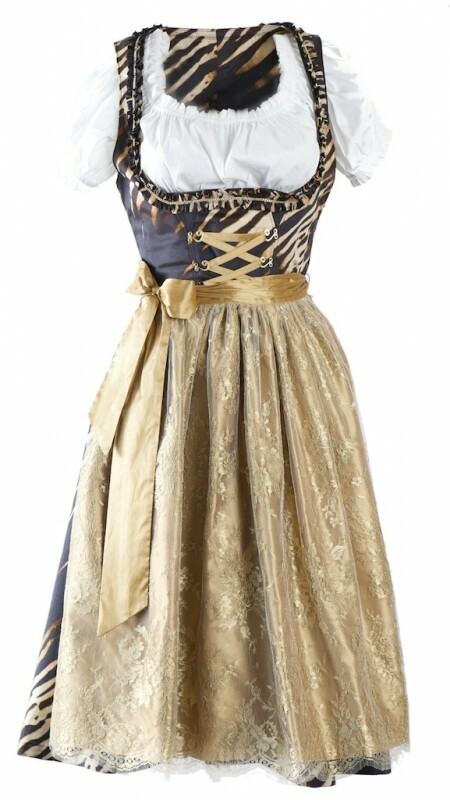 As for me her dirndls are by far the most gorgeous ones on the market, elevating the traditional costume to a trendy must-have. 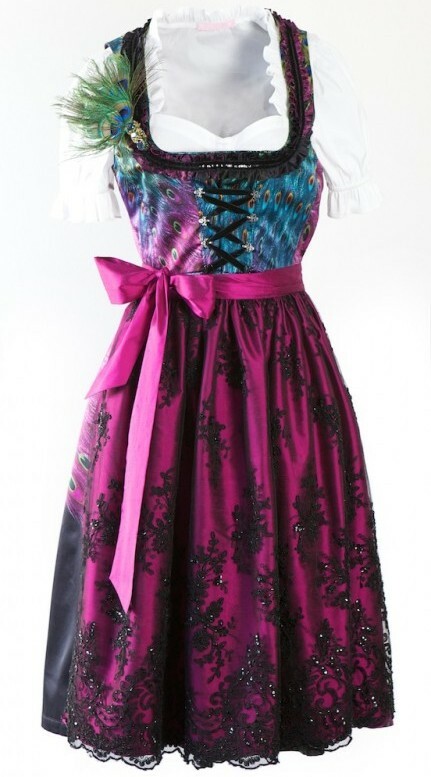 Her label Lollipop & Alpenrock stands for her famous couture dirndls, classy two-pieces and separates. 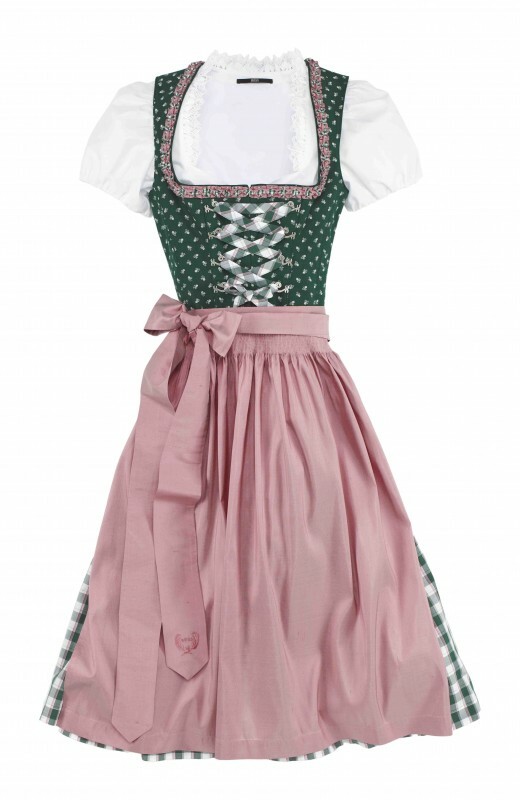 The beautiful range of Bavarian accessories complete the collection. For enquiries concerning the bespoke pieces, please contact the Munich atelier directly. Under the name Happy Heidi, Lola Paltinger presents her prêt-à-porter range of very fashionable models in limited editions. 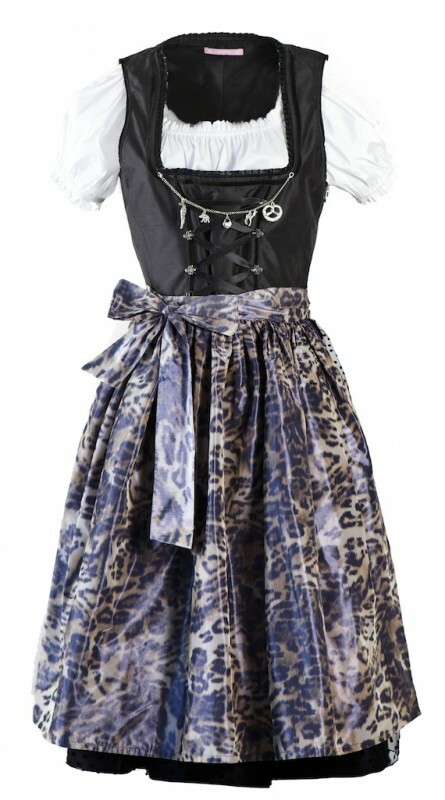 Aprons, charivaris and matching blouses are also available from selective retailers both within Germany and abroad. For my German, Swiss and Austrian readers: Himmelblau by Lola Paltinger is her casual line with Tracht elements that is sold exclusively to HSE24, the home shopping televison network. She even has some famous fans who were spotted wearing her Bavarian pop couture, among them Selma Hayek and Paris Hilton. 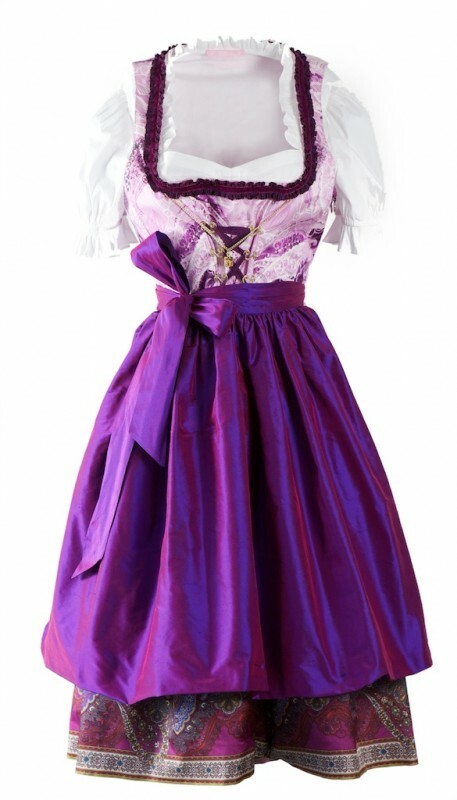 One thing is for sure: Women of all ages, figures and types look great in a dirndl! And with that famous “dash of Lola”, that coquettish wink, you will be snowed under with gingerbread hearts saying I love you!